C’mon Leo, get off your arse. The fact that wind turbines are dangerous to human (and animal) health is now so well established as to be almost axiomatic. A previous blog (and subsequent comments) highlighted the extensive peer-reviewed research showing the dangers of infrasound. The Precautionary Principle is now an established part of EU law (see Recuerda, Miguel A. (2006). “Risk and Reason in the European Union Law” European Food and Feed Law Review page 5.). The principle says that when scientific evidence concerning the harm potential of a given industrial activity leaves room for doubt, that activity should not be undertaken. Proposed mitigating measures are not an adequate response, because if you do not know the nature or degree of risk you cannot prepare for its eventuation. Even if this government was correct in its nonsensical assertion that there is not sufficient evidence to show that wind turbines are harmful to humans and animals, the point is that they admit they do not know for certain. The precautionary principle therefore says they should not be allowing wind turbines to be built until it is known that no harm can be caused to its citizens by these turbines. This is confirmed by the behaviour of some other governments or public authorities in countries purporting to rule by democracy. In America for example, on 14 October 2014, the Brown County Board of Health declared the Shirley Wind Turbine Development a Human Health Hazard. The decision was based on a report of a year-long study conducted by the Enz family with assistance from Mr Rick James to document acoustic emissions from the wind turbines including infrasound and low frequency noise, inside homes within a radius of 6 miles of the Shirley Wind turbines. The context is in reference to Brown County Code 38.01 in the Brown County Ordinances, in Chapter 38, relating to Public Health Nuisance (section (b) Human Health Hazard). “Human Health Hazard” means a substance, activity or condition that is known to have the potential to cause acute or chronic illness or death if exposure to the substance, activity or condition is not abated. “An Independent Expert Scientific Committee on Industrial Sound (IESC) should be established by law and its provisions should state that the Scientific Committee must conduct ‘independent, multi-disciplinary research into the adverse impacts and risks to individual and community health and wellbeing associated with wind turbine projects and any other industrial projects which emit sound and vibration energy”. And what is the Minister of Health’s response to this suggestion? 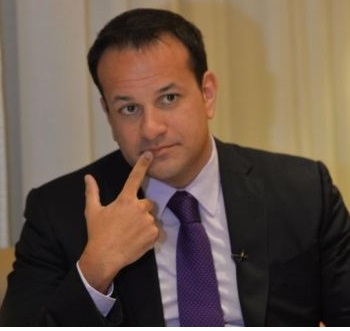 * To ask the Minister for Health in view of the EU OSHA in respect of workers safety in the energy sector, his view on concerns over the health of persons who live in close proximity to wind farms; his plans to carry out research into any possible threat; and if he will make a statement on the matter. Policy responsibility with regard to planning and the legislative framework in relation to wind farms rests with the Department of the Environment, Community and Local Government. My Department provides advice on public health issues from time to time when requested by the above mentioned Department. It is bizarre that the known health hazards associated with industrial wind turbines are not regulated by the public health agencies like the HSE and the HSA. Instead, they are regulated by a department only interested in increasing output, not ensuring public health. So come on Leo. Get off your arse and protect the health of your citizens. This entry was posted in Wind Turbine Syndrome; Professor Alun Evans and tagged Aarhus Treaty; Aarhus Convention; UN; EU; windfarms; NREAP; Pat Swords; Rabbitte; environment; wind turbines; consultation; EirGrid;, Al;ex White TD; Green Paper on Energy Policy in Ireland; New Ross, Alan Kelly; Labour Party; wind turbines; setback distance, BW Energy; ReThink Pylons; Green Paper on Energy; wind turbines; GridLink; EirGrid; biomass; Solar PV; renewable energy, Coolnabacky; Laois; Kilkenny; An Bord Pleanala; Andrew Boyle; EirGrid; substation; 110kV; 400kV; Rabbitte; EirGrid; pylons; EMF; judicial review; High Court; appeal; justice; Fianna Fail; Fine Gael; L, CSA; Chief Scientific Adviser; Professor Patrick Cunningham; Professor Denis O'Sullivan; EirGrid; E.ON International Energy; SSE Renewables; Pat Rabbitte; Paul Dowling; Aidan Corcoran, Leo Varadkar; Alex White; Minister Kelly;. Bookmark the permalink. 4 Responses to C’mon Leo, get off your arse. Another fella in danger of splinters in his arse from sitting on the fence. Claiming ignorance, is no defense. Within the last six months there has been a plethora of peer reviewed studies and research which highlight the impact that ILFN has on the brain and on the vesitbular system. These confirm what Neil Kelley’s pioneering NASA research found almost 30 years ago in relation to the direct causal effect that pressure waves from wind turbines can have on humans. Under Article 3 of the EIA Directive planning authorities, acting as an emanation of the State, have a legally binding duty to outline the direct and indirect impacts of any threshold EIA wind development on humans, including potential impacts on health The findings from both Shirley and Cape Bridgewater should be of serious concern to Irish policymakers, but to-date they seem either oblivious or incapable of understanding the ramifications of these studies.